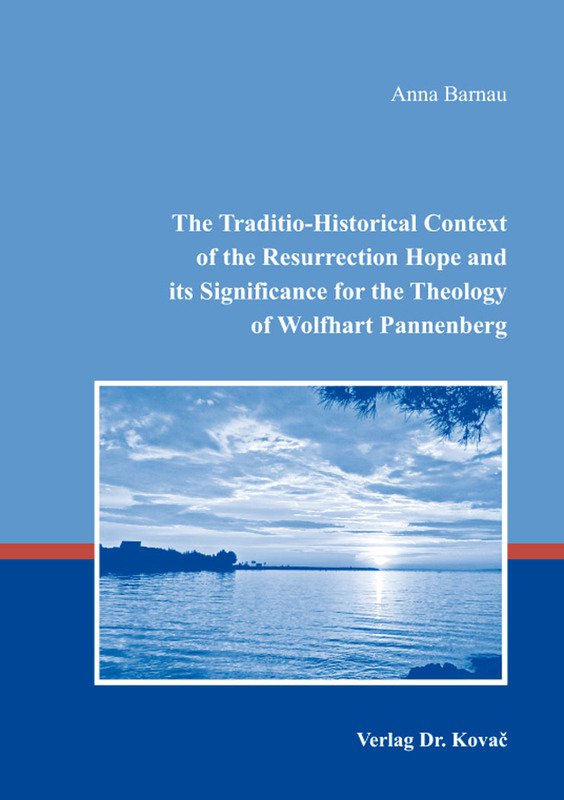 The Traditio-Historical Context of the Resurrection Hope and its Significance for the Theology of Wolfhart Pannenberg. Dissertation von Anna Barnau, Verlag Dr. Kovač 2017, 384 S.
The book attempts to find the connection between Pannenberg’s theology and the tradition-historical context on which it is based. Scripture bears witness to different ideas concerning life and death. These notions have been modified and undergone changes throughout history. Thus, the idea that the life is fulfilled on the earth in the fellowship with God changed into the hope for a life fulfilled beyond the boundaries of death, in the world to come. The eschatological message of the Old Testament prophets changed into the apocalyptic ideas of the seers in Palestinian Judaism, which influenced the way of thinking of the early Church. But, the questions arise: Are these ideas of passed times still important for the believers today? To what extent can the message of eschatology address modern audience in the twenty-first century? Pannenberg presents the possible way of connecting the past and the present when arguing for the final unity and present anticipation of consummation of God’s plans in the future. The participation in God’s eternity, or as the Old Testament prophets proclaim – never ceasing community with God – is the aim as well as the goal of all creatures and of creation even nowadays.